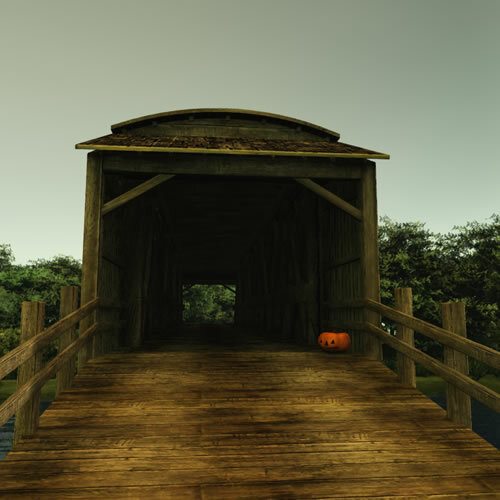 Covered Bridge and Crossings reflect the creepiness that can accompany crossing an old river crossing at night. 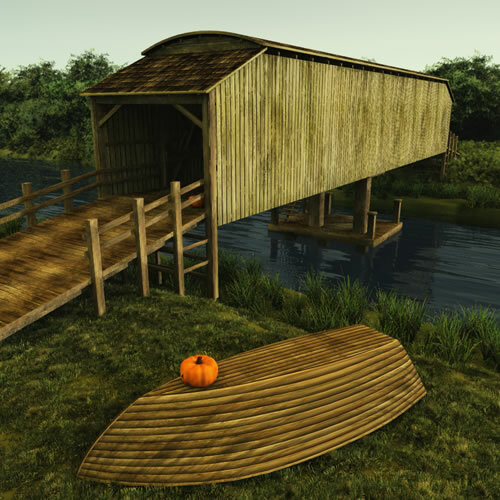 This centerpiece of this set is the old covered bridge, such that were built during the mid to late 19th century and onward. 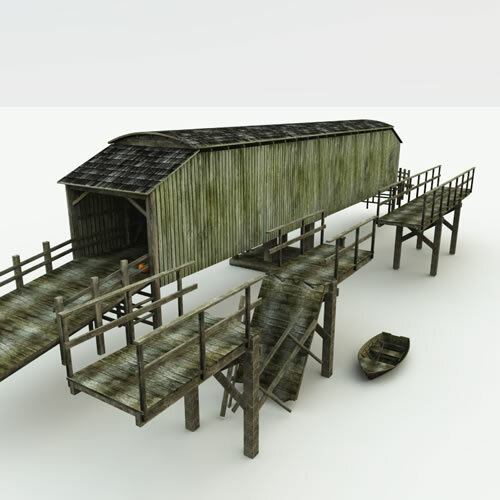 This bridge also includes a set of stairs and a small dock at the bottom - for maintenance and perhaps local use. 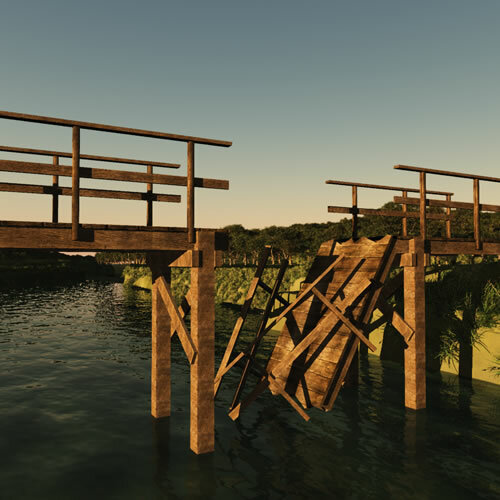 In addition, there is also an old wooden footbridge, as well as a broken version with a section of the footbridge partially broken down. 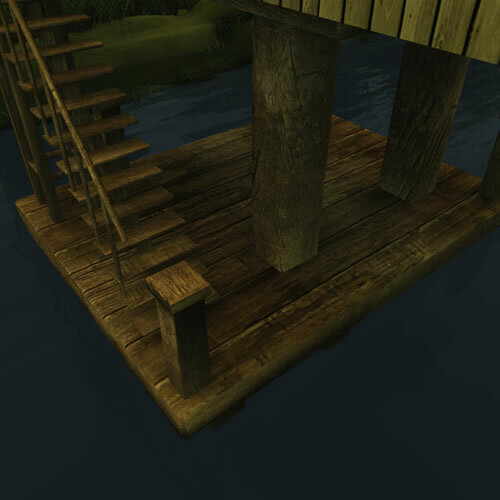 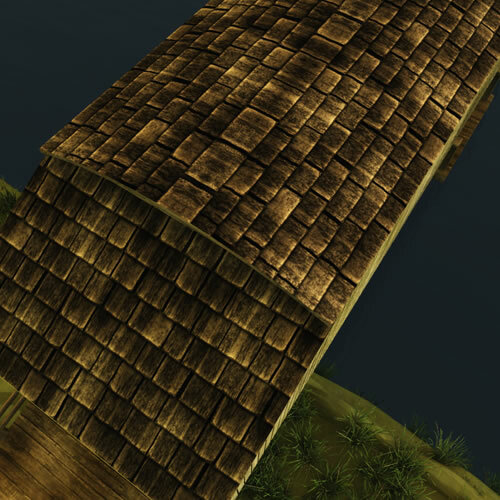 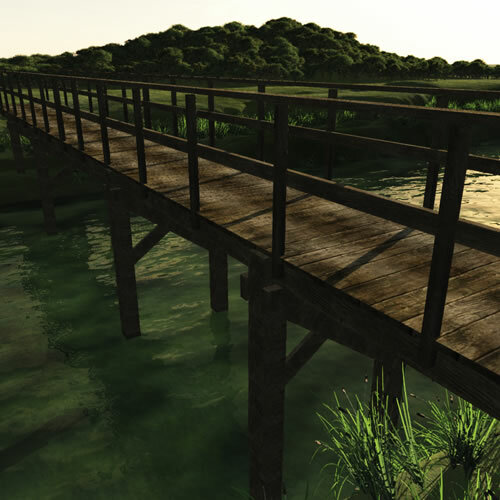 Customize the footbridge by placing lengths together, with a broken section at any point! 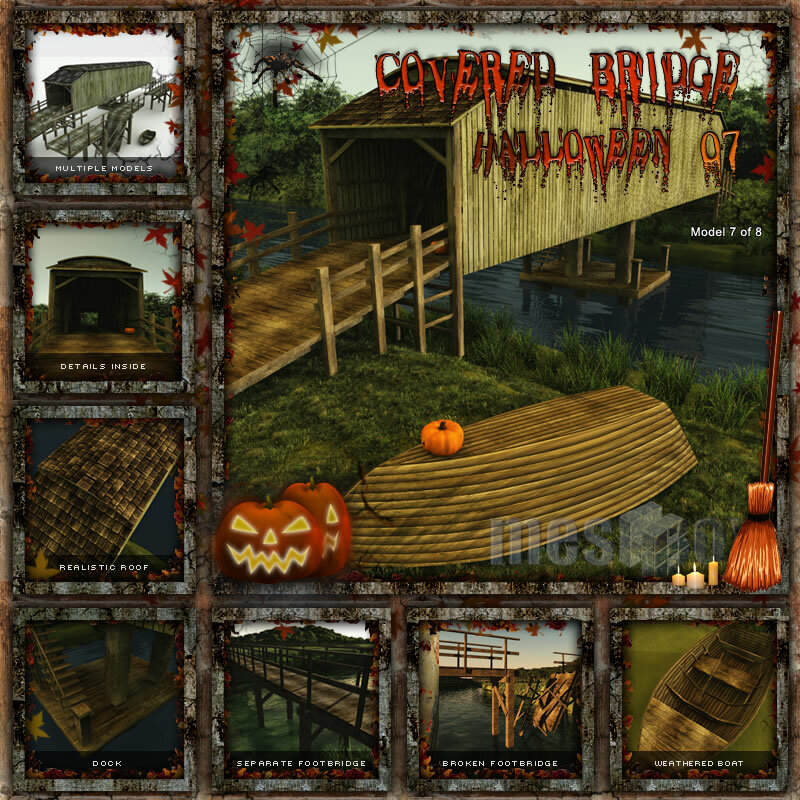 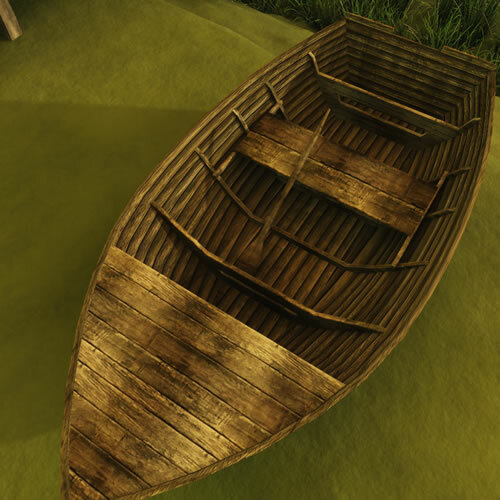 This set also includes a much damaged but still servicable wooden row boat, and a forgotten Jack O Lantern for the holiday.